for radio transmission; they were all under twenty kilohertz. for continuous wave radio transmission. which induced a radio-frequency voltage in a set of coils. which became an urgent requirement during World War I. 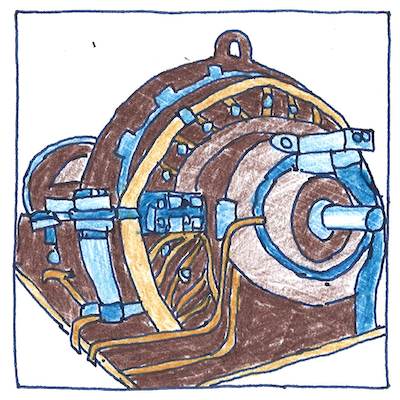 In 1903, Charles Proteus Steinmetz of GE delivered a ten-kilohertz alternator-transmitter, which Fessenden could not use as a radio transmitter. Ernst Alexanderson’s effort was far more successful; however, alternator-transmitters were eventually replaced by vacuum-tube transmitters.